Will the new Franco-German treaty revive the EU, or hold it back? 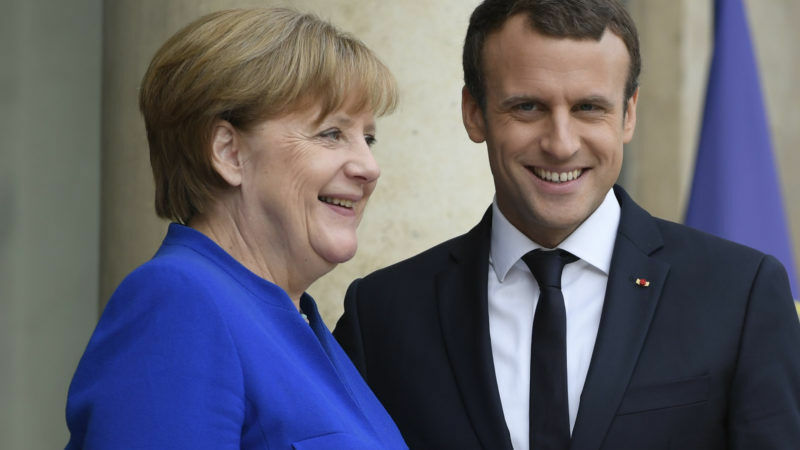 The new Franco-German co-operation treaty might strengthen the axis of the EU’s two most powerful countries, but that might not be helpful for the rest of the bloc, writes Sofia Vasilopoulou. Dr Sofia Vasilopoulou is a senior lecturer at the University of York. On the 56th anniversary of the original Franco-German ‘Elysee Treaty’, Germany and France signed a new Treaty as a gesture of friendship. The Treaty provides for close cooperation between the two countries in economic and defence matters and is expected to prepare the ground for EU reform. With Brexit looming and populist parties likely to dominate the 2019 European Parliament elections, it is thought that the Treaty will send a positive political message signalling Franco-German commitment to the EU project. Part of Emmanuel Macron’s European reform programme, the Treaty is intended to reinforce the idea of interdependence as a precondition for strengthening Europe. And herein lies the problem: the centrality of the Franco-German axis in European integration might have the opposite effect, i.e. alienate other EU member states. Take the question of cooperation in economic and monetary affairs, for example. The Eurozone crisis put a strain on European cooperation and revealed substantive divisions between rich and poor EU member states. The question of providing financial assistance to the EU’s struggling economies became highly politicised across the union, even in countries that are not Eurozone members. At the height of the crisis in 2014, fiscal solidarity initiatives received support from approximately half of European citizens, which given decades of European integration and interdependence reveals the lack of European solidarity in such matters. In addition, such schemes were much less popular in poorer EU member states although such countries were more likely to benefit from them. In poorer countries, further EU economic governance integration and policy coordination have been seen as part of the way out of the crisis. At the same time, however, economic governance is strongly associated with austerity and fiscal supervision. There is a strong belief that these countries are required to abide by EU conditionality without being able themselves to shape the rules. Citizens living in countries in financial distress tend to prefer Eurobonds instead because the latter would decrease their countries’ borrowing risks and costs. On the other hand, citizens living in core EU member states tend to prefer institutional integration over Eurobonds, as a means of limiting their fiscal exposure to weaker countries, i.e. a form of ‘conditional solidarity’. The discussions over Greece’s official exit from bailout in August 2018 demonstrated the continuity of such attitudes. Whereas Greece’s Prime Minister hailed the agreement as signalling the country regaining its political and financial independence, the country will be under surveillance led by the European Commission for at least another decade. This growing schism between rule-takers and rule-makers in monetary affairs goes some way to explaining member state opposition to Macron’s plans to deepen fiscal union in Europe. Such cooperation depends in part on the extent to which rich countries’ solidarity is perceived as ‘conditional’, i.e. tied to conditionality and austerity, and promoting political inequality through a distinction between the ‘rulers’ and the ‘ruled’. One needs to view the Élysée Treaty signed in 1963 against its historical background. European cooperation consisted of very few member states and the memory of the Second World War was still fresh in people’s hearts and minds. A Franco-German alliance ensured first and foremost that another war would not break out in Europe again. In 2019, however, the context is different. European citizens have become key stakeholders in EU decision-making. Eurosceptic parties are on the rise; in some countries they are in government. In this political environment, a Franco-German alliance risks having the opposite of the intended effect. Instead of promoting the idea of mutual interdependence across the Union, it might give the signal that the two countries are willing to proceed without consulting and involving other Central, Eastern and Southern EU member states. Matteo Salvini’s initiative towards a ‘new European Spring’ to replace the ‘Franco-German axis’ during his recent visit in Poland could also be seen in this context. Salvini wants to create a new ‘equilibrium’ in Europe, signalling strong opposition to the idea that only France and Germany should be the ‘motor’ EU member states. Such initiatives are likely to be problematic for European integration as they will push the EU towards different directions. While the Franco-German axis will presumably push for further integration, the new European Spring is likely to push for disintegration. In this context, France and Germany should try to reach out to and co-opt other EU member states. This is not to say that countries should not push forward with European cooperation. On the contrary: policy-driven integration is more likely to succeed if initiated, spearheaded and promoted by political actors across the union, rather than solely from richer ‘motor’ EU member states. This involvement will ultimately allow leaders from across the Union to sell the EU’s policies to their domestic electorates. So what is to be done with French debt after the “new EU”? German taxpayers will pay it? And they will continue to support the French budget deficit? If Italians submit too, Germans will pay their debt too? This will be great! Germans will work and will pay everibodys debts, others will enjoy quality life and solidarity. Heaven!